The Inverness comic convention Hi-Ex really couldn't have chosen a worse weekend weather-wise with heavy snow, high winds and sub-zero wind chill in the days leading up to it but, despite loosing some guests and dealers to the weather, it didn't dampen the enthusiasm of the participants - unless you were tied to a light post outside in the cold wind. 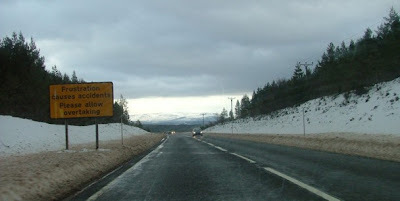 Inverness is at sea-level and so whilst the snow wasn't particularly deep in the city those of us driving north had to brave the snow over 1500 foot altitude sections of the A9 having given up counting the number of snow ploughs and gritters we passed that were trying to keep the road open. 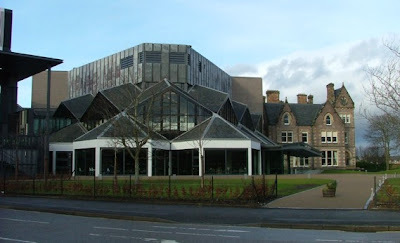 Held in the newly refurbished Eden Court Arts Centre, the main section of the con took over the ground floor of the old Bishops Palace with the panels being held in one of the new theatres. 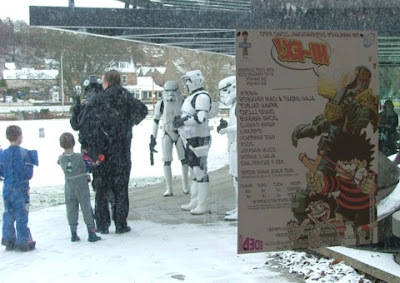 The first inkling the general public got that this was not a normal weekend at Eden Court would have been the troopers of the 501st UK Garrison who, ironically, did not have any snowtroopers in their midst. 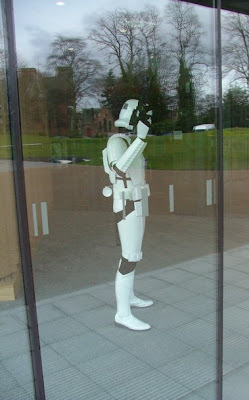 They proved a fascination for the local kids, even if some were a bit wary of the black troopers. 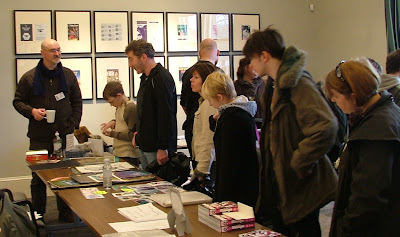 Manning artist Graeme Neil Reid's sales table, I tended to see the convention from the dealer's perspective. 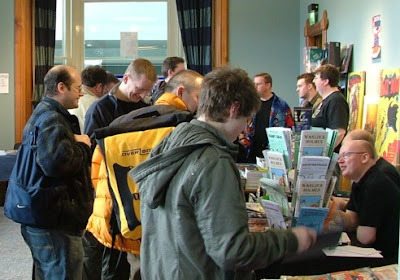 The dealer's room certainly proved a popular destination for the punters with barely a break on the Saturday as well as being surprisingly busy on the Sunday as well. 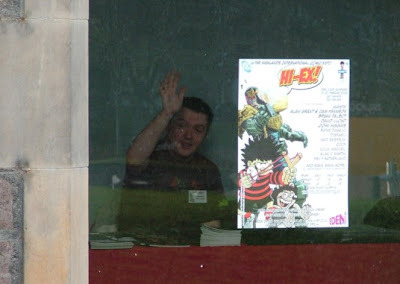 ...while John Higgins and Declan Shalvey are still hard at it. 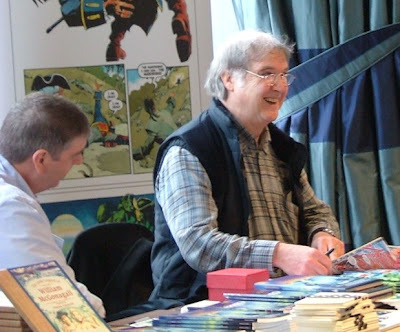 Back in the Dealer's Room Cam Kennedy was hard at work on the Waverley Books table signing all that was put in front of him as Ron Grosset of Waverley Books looked on. While the table was based on last year's Kidnapped graphic novel Ron was good enough to show some of the pages of Cam's art for the forthcoming Strange Case Of Dr Jekyll and Mr Hyde to those who were interested. 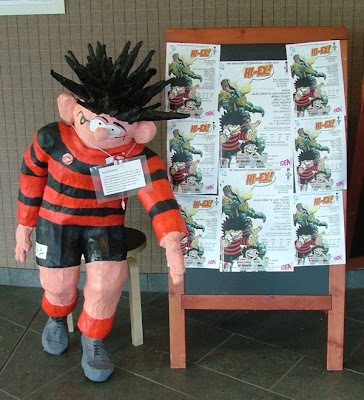 There was a small display of 2000AD art, while those who were not tempted by the art for sale in the Dealer's and Artist's Rooms had a chance to bid in the charity auction on pages from Boo Cook, Liam Sharp, Graeme Neil Reid, Richard Elson and Rufus Dayglo. 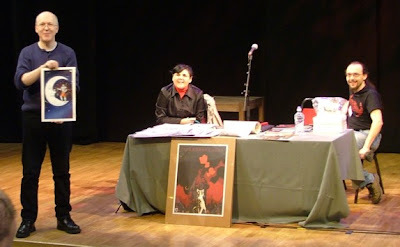 The auction, which was entertainingly compared by Michael Carrol, raised some £600 for the Children 1st charity (the Scottish version of the NSPCC) with the raffle also adding to the eventual total. I was sitting beside the Childen 1st representative during the auction and she was delighted with the amounts that were being bid. 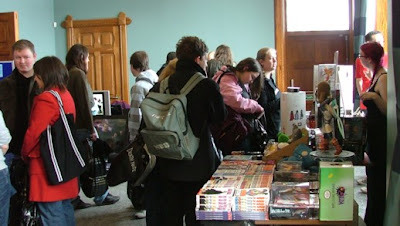 The one noticeable thing over the weekend was the numbers of the general public that were attending. 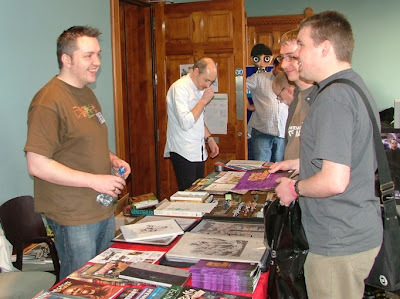 There had been a lot of local pre-publicity for the event and from the people that were coming past our table it had certainly paid off. The free entrance for those in costume proved entertaining as we watched kids appear in various outfits. 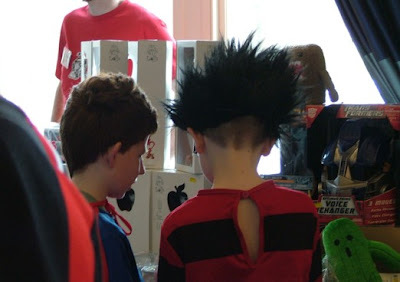 Here Superman and Dennis The Menace ponder what to buy with the money they just saved at the door. Organisers Vicky Stonebridge and Rich Clemments, who didn't look too panicked over the two day event, hit their hoped for attendance target for the entire weekend on the first day and so Hi-Ex 2 seems to be very much on the cards for early next year. So goodbye from a chilly but busy Hi-Ex 2008 - see you in 2009. 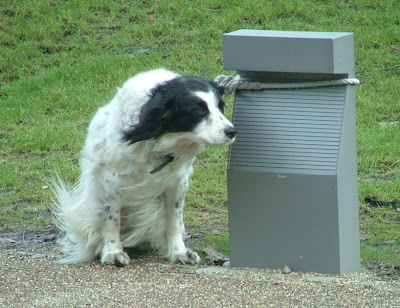 You can read Graeme Neil Reid's report on Hi-Ex on his blog. Exclusive: Stand By For Action!